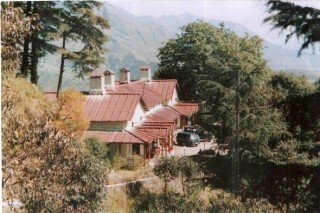 We are located in the lush green hilly surroundings. The sight was chosen for an accommodation by brithishers in 19th century. But it is now turned into a modern accommodation with spacious clean rooms, full modern bathrooms budget friendly rates and unmatched hospitality. It’s away from hustle bustle of the crowd. But still near the main town. The tariff include breakfast and either dinner or lunch. 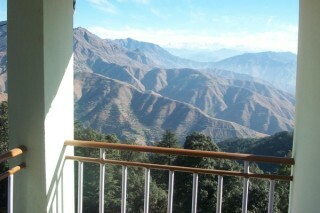 Deoban Peak and Mussoorie Peak are close by snow clad Himalayan range and full lengths of Lakhamandal road give a beautifully view from here. 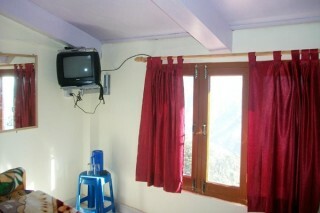 The accommodation is built in an old building with nice back drop of a section of snow clad Himalayan peaks. 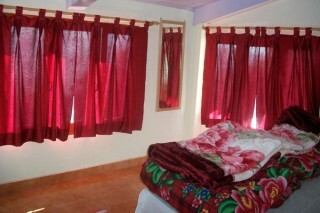 Suite and Rooms have tiled Flooring and also have fire place in eight suits. Our accommodation is located in a hilly area that is a hill station in itself.